Of the 500,000 on-street parking spots in Seattle, less than 1,000 are paid. This is not a new revelation. An ancient PubliCola post from 2015 reported on it. Okay. Getting up of the floor now. What? West Seattle—including around the Junction—doesn’t charge for parking?Well, neither do the business districts in Southeast Seattle like Columbia City, nor in North Seattle around Northgate or Lake City. Unfortunately, that argument doesn’t justify free parking in West Seattle, it simply reveals how skewed Seattle public policy is toward accommodating cars. Thanks to Sightline (of course), we wrote about this car culture subsidy two years earlier, in 2013, as well. 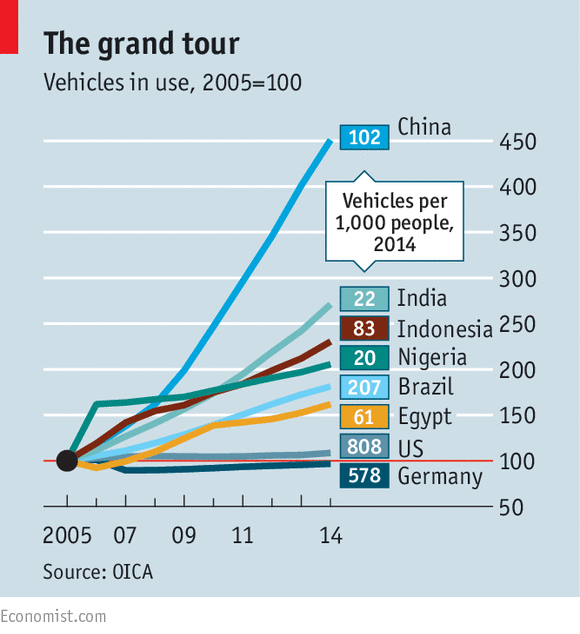 But this recent editorial in the Economist reminded me how persistent and global the problem is. Water companies are not obliged to supply all the water that people would use if it were free, nor are power companies expected to provide all the free electricity that customers might want. The harm caused begins with the obvious fact that parking takes up a lot of room. A typical space is 12-15 square metres; add the necessary access lanes and the space per car roughly doubles. … In cities, such as Kansas City (see map), where land is cheap, and surface parking the norm, central areas resemble asphalt oceans dotted with buildings. The more spread out and car-oriented a city, as a result of enormous car parks, the less appealing walking and cycling become. Besides, if you know you can park free wherever you go, why not drive? The ever-growing supply of free parking in America is one reason why investments in public transport have coaxed so few people out of cars, says David King of Arizona State University. In 1990, 73% of Americans got to work by driving alone, according to the census. In 2014, after a ballyhooed urban revival and many expensive tram and rapid-bus projects, 76% drove.